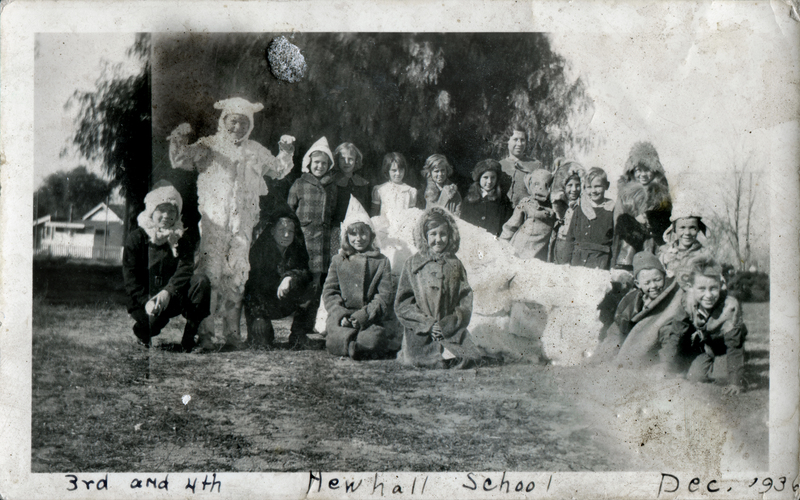 We don't know exactly what's going on in this photograph — judging from other Newhall School photos, school plays were popular in the 1930s — but we do know it's Newhall School, December 1936. 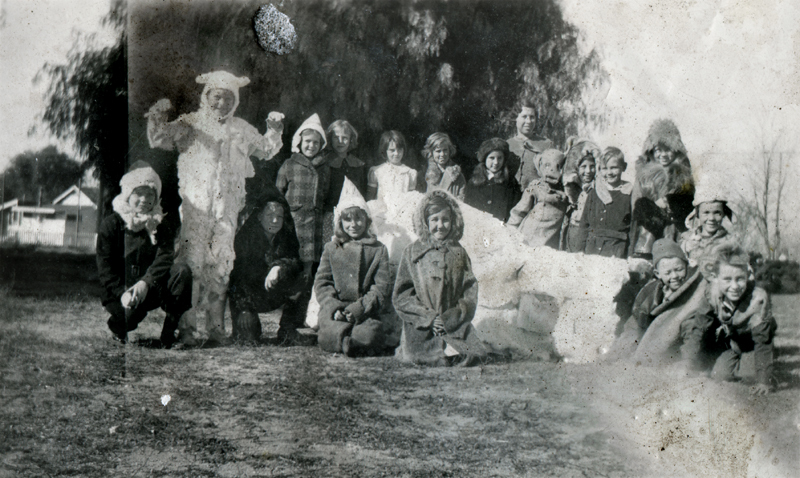 According to photo contributor Patricia Bennett (nee Patricia Pearl Cook), the children are third and fourth graders, and their teacher is Bertha Blum. 3x5-inch glossy print. Bertha Blum was one of the six children of Acton pioneer ranchers George and Magdalena Blum, who came from Switzerland and settled in 1891 in Aliso Canyon, where they established the Blum Ranch. Both Bertha and a sister, Emma, were Newhall School teachers in 1936-37. According to Meryl Adams (1988), Bertha married a man named Fuller and moved to Lancaster, while Emma, apparently unmarried, remained a teacher, first in Newhall and then in the Lancaster area. PC3602: 19200 dpi jpeg from original photograph donated 2003 by Patricia Bennett (nee Patricia Pearl Cook) of Carpinteria.